A few months back, I treated myself to a craft knife. 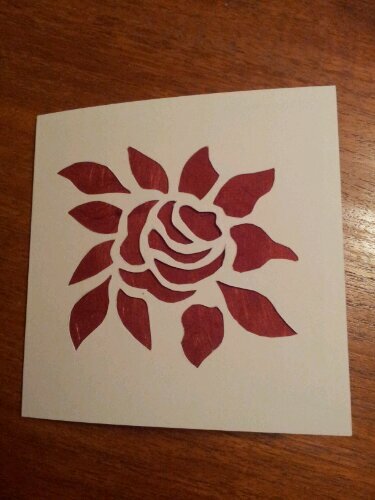 I haven’t used it much, but was quite pleased with the cupcake card I made with it, so decided to try more papercutting. 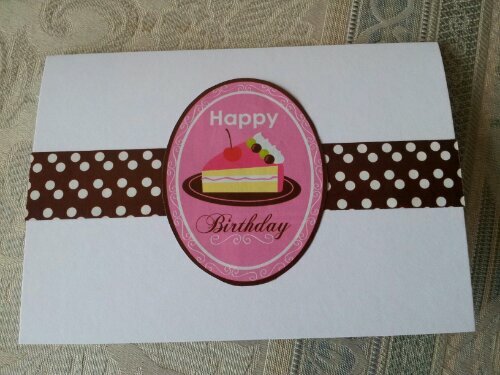 When making the cupcake card, I cut the image out of paper and stuck it to a card blank. 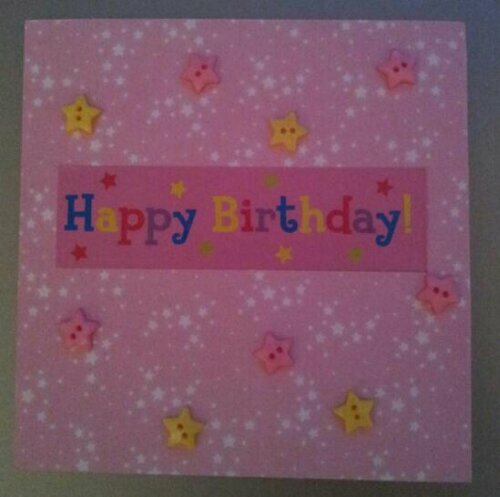 I was feeling more adventurous second time round and cut the image out of the card blank instead and stuck coloured paper behind it. 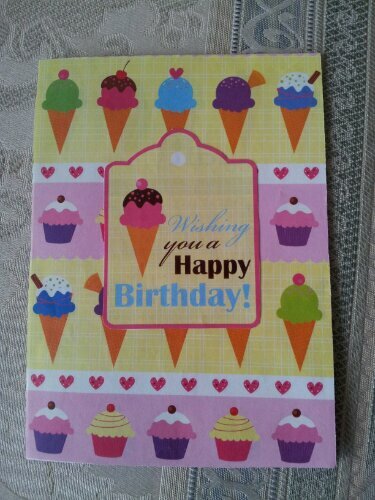 This card is for a birthday. 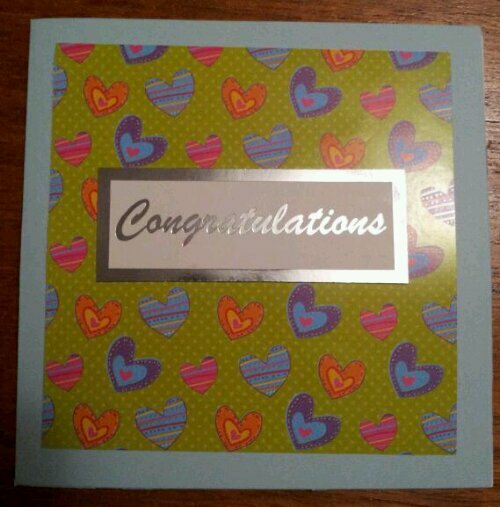 And I used this one to RSVP to a wedding invite. 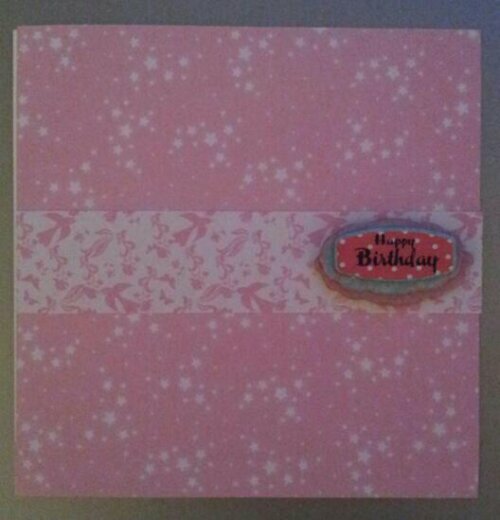 I’m really pleased with them both and will definitely make cards this way again. It is quite effective and relatively quick. As you may well know, I am a Chemistry teacher. Many moons ago I did indeed study Chemistry at university, and I met some of my closest friends there (as well as Mr M, but that was all a long time ago). I remember one point when doing my masters when one of my female friends pointed out that we were the only women in our lab group. I hadn’t even noticed! So yes, I have more male friends than female from those years. 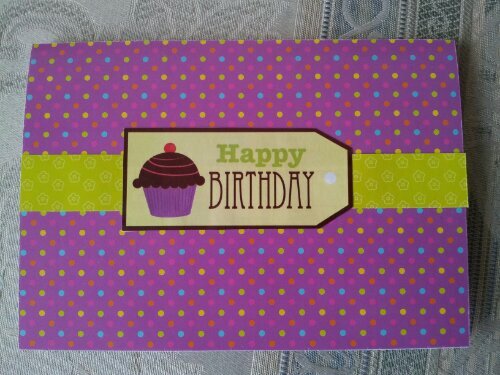 With quite a few friends a text or Facebook message is now all we exchange on birthdays, but I do still exchange cards and presents with one friend. This friend lived with Mr M all those years ago and is virtually responsible for us meeting. He has been there for both of us for over ten years now. Since blogging I haven’t bought a single card and I’m trying to make them all (who knows if it will extend to Christmas – too many to make and not enough time!). I find men way harder than woman to craft for. Luckily after a trip to the Science Museum in London, I was inspired. (Photo taken at night before packaging for postage). 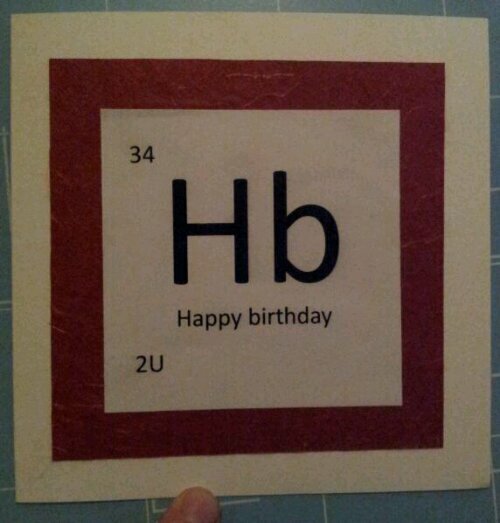 Yep, I was inspired by the Periodic Table! It’s my Dad’s birthday this week. 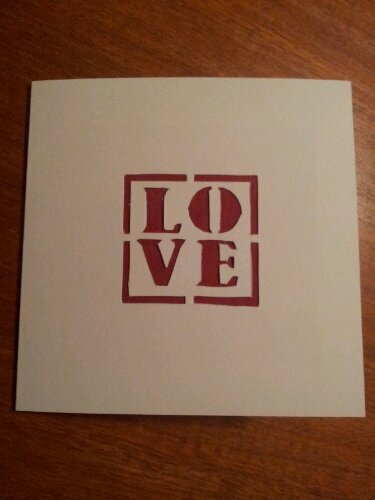 I always find birthday cards for men a challenge. I really struggled with trying to think of a design for my father-in-laws birthday in June, however this time I thought of a theme! Yes, my Dad is a football fan! He has supported Exeter City Football Club his whole life, so the colour had to match their shirts. You now know his name and age! 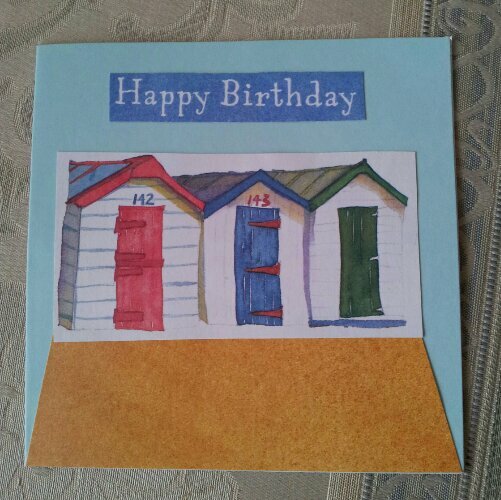 Once I thought of what I wanted to do, it was quite easy to make (as are all my cards!). I cut out a shirt in plain white and then added the red stripes using my favourite double sided tape. I printed his name and number and age and then stuck that on top. Ta Dah! This would be really easy to adapt to other teams, names and ages. It’d be even easier if your team has a plain coloured shirt! I just hope Mr Postman gets it to him on time!